Steakhouse89 combines classic steakhouse influences with casual sophistication. We are proud of the fact that we fire and grill every steak over a wood-fired grill - no gas, no electric, no briquettes - completely hand-cut wood-fired steak, including our prime rib, which slow-roasts for several hours before we're ready to serve it. It's the most delicious flavor from the char that you can ever get. Not only do we offer wood-fired steaks, we have the freshest seafood, chicken, pork, burgers, and delicious salads. We grow and harvest our own vegetables and herbs. 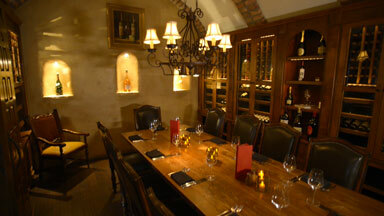 We have five separate private dining areas designed with each special occasion in mind. 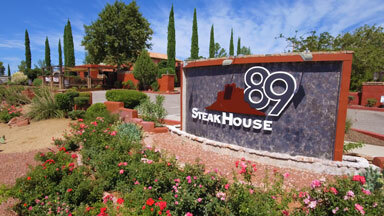 Steakhouse 89 is located in West Sedona and is open for Dinner, Lunch, and Sunday Brunch. Courtesy shuttle available.